This month’s Great Oklahoma Classic belongs to Sam Harvey of Glencoe Oklahoma. We met Sam while attending the Ron Shirley Annual Car Show in Stillwater. 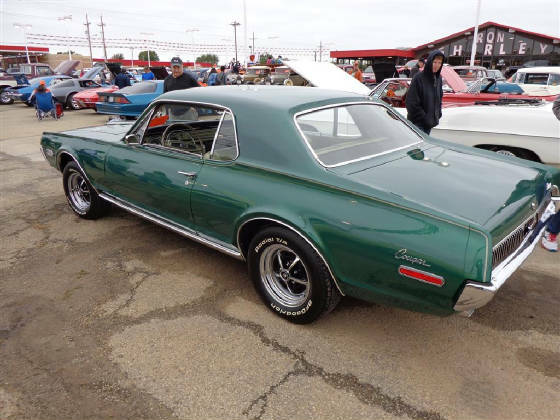 Sam brought his 1968 Mercury Cougar for all the attendees to enjoy. 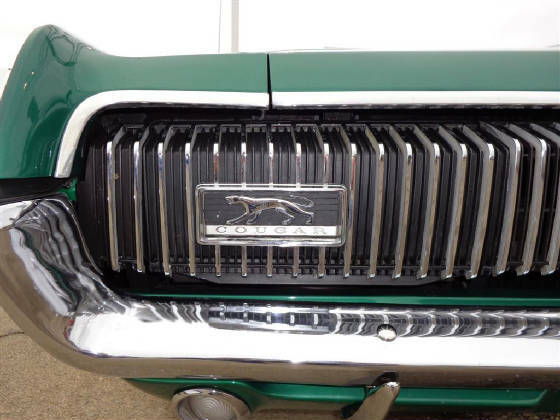 The Cougar was important to Mercury's image for many years, and advertising often identified its dealers as being "At the Sign of the Cat." 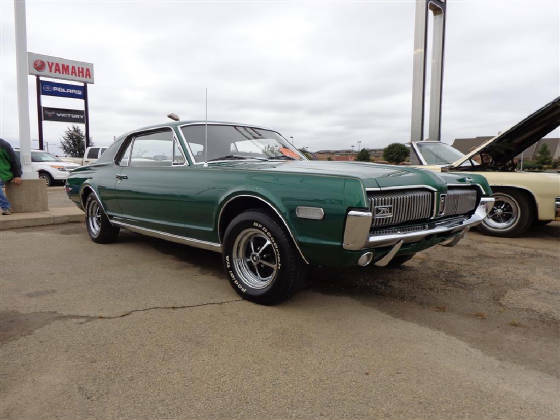 The first generation Cougar was produced from 1967 to 1970 and was built on the Ford Mustang platform with a three inch longer wheel base. The introduction of the Cougar gave Mercury its own "pony car". 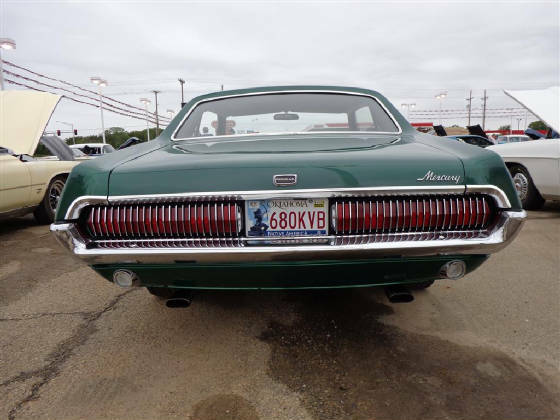 The Cougar fell between the Ford Mustang and the Ford Thunderbird, the Cougar would be the performance icon and eventually the icon for the Mercury name for several decades. When Sam was seventeen years old he bought his first car, a 1969 Cougar. Later he had to sell the car due to finances. He enjoyed this car so much that he spent the next thirty eight years looking for a similar car. 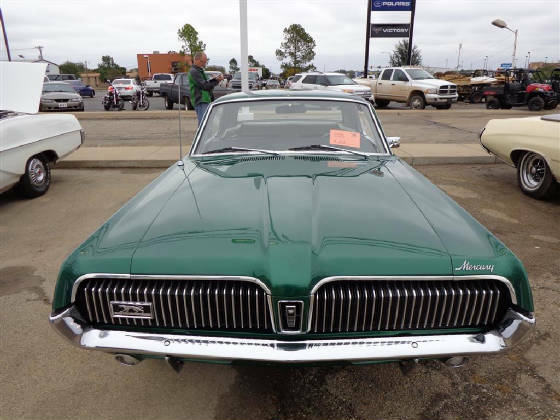 The Cougar was purchased new by a lady in Louisiana for $3190. She traded in a 1956 Buick two door. The dealership paid her $410 trade in for the Buick. Sam says he would also like to have that old Buick! In 1994 the Cougar was purchased in Pennsylvania and the new owner began a three year restoration project. The Mercury was repainted to the original Augusta Green during the restoration process. The car was restored to mostly original specifications. 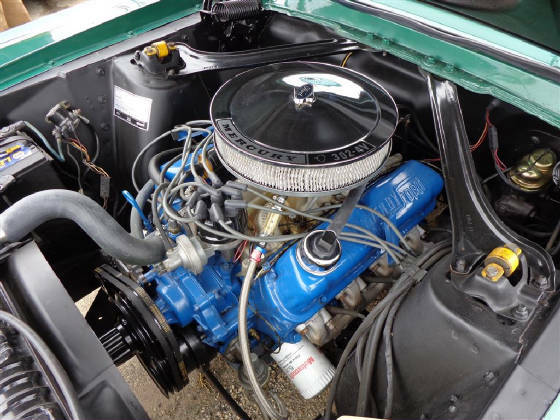 The Mercury is powered by a 302 V8 with four barrel carburetor which produces 230 horsepower at 4800 rpm and 310 pounds feet of torque at 2800 rpm. The transmission is a three speed manual floor shift. 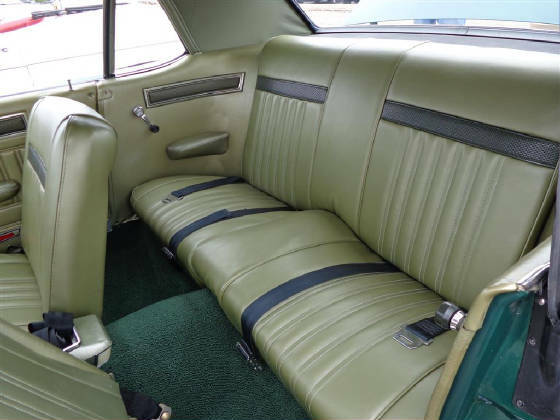 As you can see the interior of the Mercury retains a stock Cougar look and was restored to nearly new condition. 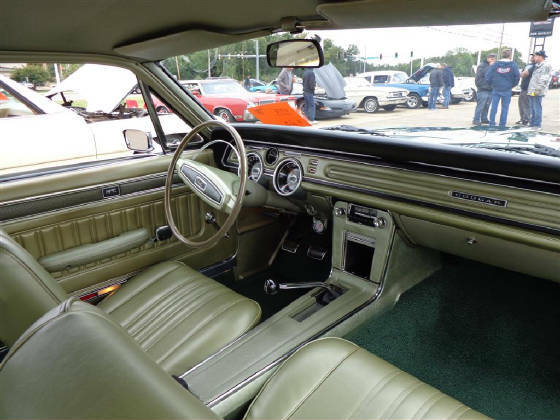 The contrasting three colors interior gives the Cougar that classic look. The license plate was surrounded on both sides with vertically slatted grille work concealing taillights (with sequential turn signals), a styling touch taken from the Thunderbird. 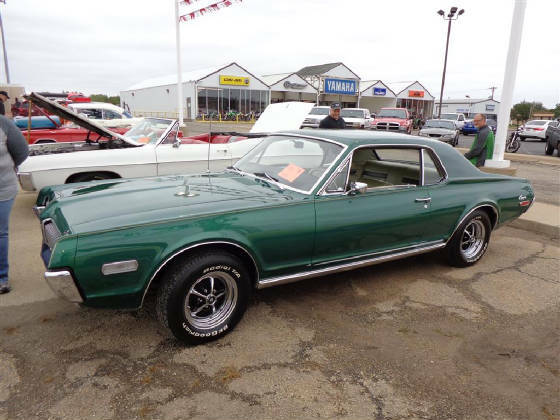 Sam's Mercury Cougar sets on four BF Goodrich Radial T/A tires mounted on fourteen inch Styled Steel Wheels with Mercury center emblems to maintain a classic 60’s look. As stated, Sam searched over thirty eight years to find “His Car” again. When he saw the car the first time he knew he had to have it! Thankfully, Sam was a good negotiator and “His Car” is finally home again. Sam’s wife named the Cougar “Bernice” after the original owner. 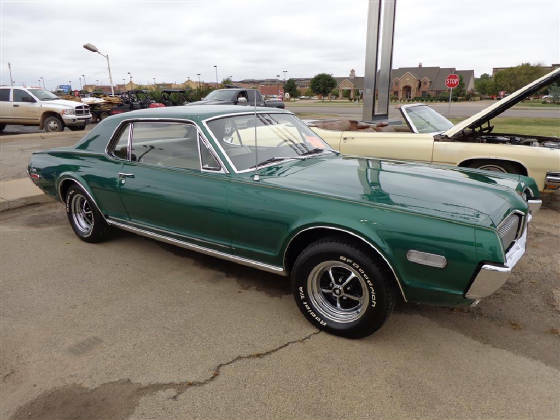 The Cimarron Starlite Cruisers sincerely appreciate Sam Harvey for sharing his classic 1968 Mercury Cougar as our Great Oklahoma Classic for October 2014!